Skin health is paramount to good overall health. 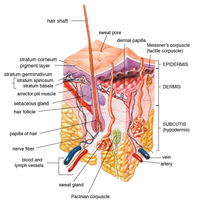 Your skin is your largest organ and has an important role to play. Keep yours glowing and healthy with monthly treatments to thoroughly exfoliate & hydrate. Regular treatments can also be helpful to identify potential issues that might be beginning in the skin and need attention, or to treat active acne, eventually stopping it entirely.Your skin care care provider will evaluate your skin at every appointment taking note of any changes. 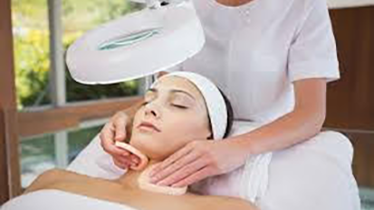 All of our Skin Health treatments are relaxing and pleasant with no downtime. The elegant alternative to microdermabrasion is our sterile saline jet peel. The Jet Peel is a painless skin treatment that provides dramatic results from the very first treatment session. A combination of oxygen, water and nutrients effectively “power wash” the skin, eliminating debris on the skin’s surface and stimulating cell renewal underneath. The result is smoother, softer skin with enhanced texture, tone and color. Jet Peel treatments are relaxing and rejuvenating, delivering important substances to the skin at supersonic speed. Soothing jet streams effectively unclog pores and exfoliate skin for a refreshed, invigorated appearance. Infused nutrients can be customized to your unique skin concerns, ensuring every Jet Peel treatment meets your specific needs for a more beautiful complexion. The device used to administer hydration and nutrients also provides a gentle massage for your skin, stimulating circulation for a healthy glow. Oxygen and water are infused to allow for deeper penetration of nutrients without puncturing the skin with needles. Treatments can be performed on any area of the body, but are frequently recommended for the face, neck, décolleté, and hands. Dermasweep is advanced microdermabrasion. It is a deep, mechanical exfoliation followed by the forcing of a solution deep into the skin. The solutions can be varied with each treatment. Usually done monthly for skin health, Dermasweep can take the place of your monthly facial or skin care maintenance treatment. 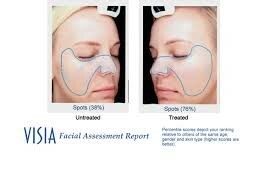 Dermasweep is a versatile treatment with its infusion solutions. Done twice monthly with different chemical peel infusions, it can be a very corrective treatment as well, targeting pigment, rough texture, large pores and fine lines. The treatment is comfortable and pleasant, and your skin immediately post treatment is glowing, hydrated and plump. hydrate the skin leaving it perfectly balanced & glowing. followed by a serum booster, deep hydrator, and sunscreen. If you are ready to get started with Skin Health treatment, call Natural Foundations in Capitola at (831) 325-0202. Call now for a complimentary consultation.